This extraordinary estate located at 9 Del Mar is offered for sale on the most coveted street within Newport Coast. Positioned on a 30,000 square foot “due west” peninsula front row lot, the 15,000 (livable) square foot estate offers unimpeded views of Pelican Hill Golf Course, Newport Beach Harbor, Pacific Ocean coastlines all the way to Palos Verdes, with Catalina and year-round sunsets situated in the backdrop. The estate boasts 6 bedroom suites, two powder rooms, and one external pool bath. Behold timeless elegance complimented by state of the art technology in every room within the property. From the two-story great room with salt water aquarium, ocean facing mahogany clad study, gourmet chef’s kitchen with butler’s pantry, formal dining and living room, to the 3300 square foot subterranean garage, 10-person 3D home theater, game room equipped with golf simulator and racing seats, home gym, billiards room, and elevator to all three levels, this estate lives as its own personal coastal resort. Once outside, the expansive grounds offer the highest sense of privacy and seclusion adorned with mature palms, waterfalls, saline infinity edge pool, fire bowls, electric heaters, pool pavilion, ocean facing upper and lower lawn with putting green, and is the only estate with an interior auto court outfitted with an automotive turn table. 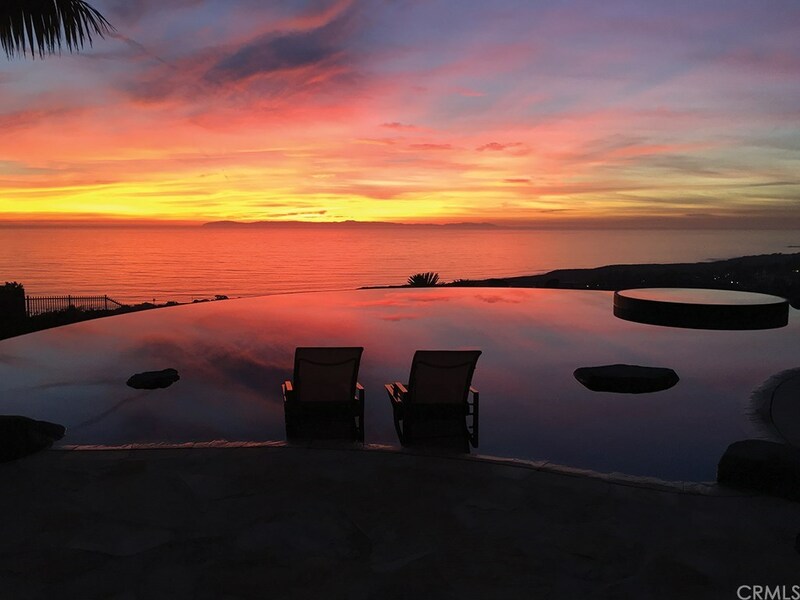 9 Del Mar is truly the finest estate offered in Crystal Cove. We respect your online privacy and will never spam you. By submitting this form with your telephone number you are consenting for Steve Spiro to contact you even if your name is on a Federal or State "Do not call List".